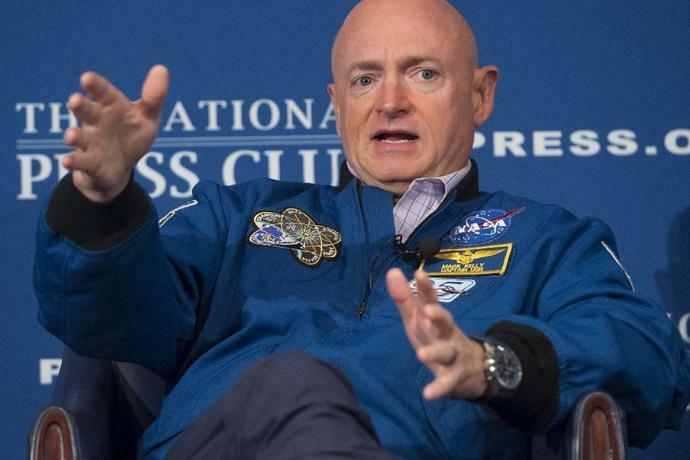 Washington (AFP) - Retired NASA astronaut Mark Kelly, whose wife, congresswoman Gabby Giffords was severely wounded in a 2011 assassination attempt, announced on Tuesday that he was running for the US Senate seat from Arizona once held by John McCain. "My next mission," the 54-year-old former US Navy captain said in revealing his Senate bid on his Twitter feed. Kelly, a Democrat, would take on Republican Martha McSally in November of next year if he wins the Democratic nomination. McSally, who like Kelly is a former navy pilot, was appointed by Arizona Governor Doug Ducey to serve out the remainder of McCain's term. McCain died in August of last year, having held the Senate seat for more than three decades. "It becomes pretty obvious, pretty early when you get into space that we're all kind of in this together," Kelly said in a video released to accompany the launch of his Senate campaign. "Solving some of the hardest problems requires one thing and that's teamwork," he said. "Partisanship and polarization and gerrymandering and corporate money have ruined our politics and it's divided us," Kelly said. "We've seen this retreat from science and data and facts and if we don't take these issues seriously we can't solve these problems." Kelly married Giffords in 2007, when she was representing Arizona in the US House of Representatives. A gunman attempted to assassinate Giffords in Tucson in 2011. Six people died and 18 were injured including Giffords, who was shot in the head and critically wounded. Giffords underwent intensive rehabilitation and is able to once again walk and speak. 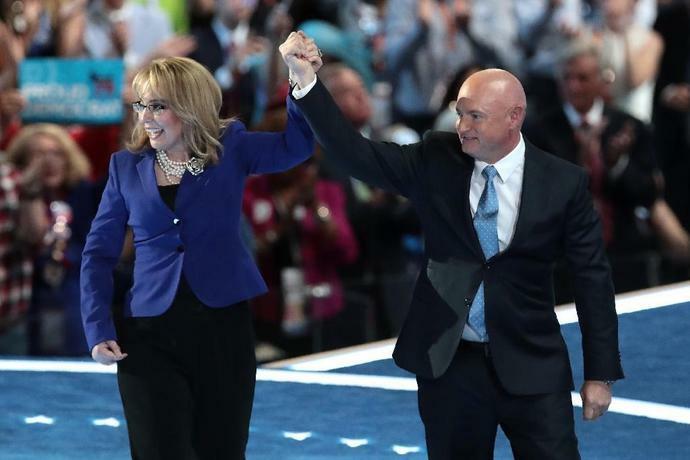 Since the attack, Kelly and Giffords have become outspoken advocates for gun control. Kelly flew combat missions in Iraq and Kuwait as a US Navy aviator during Operation Desert Storm in 1990-91 and went into space four times on the US space shuttle. He and his identical twin brother Scott both became NASA astronauts in 1996. Scott Kelly, who also commanded space shuttle missions and spent a year on the International Space Station, welcomed his brother's candidacy. "I've known this guy my whole life," he tweeted. "I can't imagine a better candidate for U.S. Senator." Cindy McCain tweeted on Wednesday afternoon to respond to a report that the McCain family would support Joe Biden in 2020. AUSTIN, Texas (AP) - Democrat MJ Hegar, an Air Force veteran whose viral campaign ads nearly helped her get elected in one of Texas' most Republican-friendly congressional districts last year, set her sights higher on Tuesday and launched a run for U.S. Senate against Republican incumbent John Cornyn.